I am so excited to be bringing you an extra special summer giveaway from National Geographic Kids. Up for grabs are three books that are both fun and interactive and will keep your kids busy (and they may just learn something too!). Based upon the hugely popular page in the National Geographic Kids magazine, kids will definitely say “wow!,” “cool!” and “gross!” as they flip through the 301 outrageous facts and learn, for instance, that peanut butter can be converted into a diamond, an elephants tooth can weigh as much as a bowling ball and a dog can make about 100 different facial expressions! Featuring National Geographic’s signature photography and vivid graphics, this interactive game book includes over 75 games, mazes, fill-in-the-blankÂ stories, trivia tests and more. Introduced last year and updated for 2011, this best-selling almanac has quickly become the gold standard. 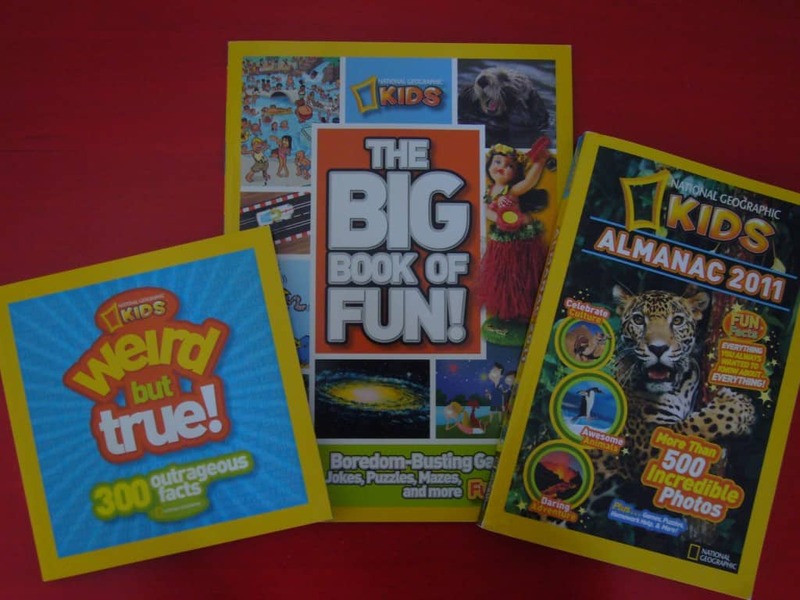 Kids will love the more than 50 puzzles, projects ands cool experiments, the 500 pictures of our planet and all that’s on it and the more than 5,000 fun and amazing facts. Parents will love it because its chapters on science, geography and history — plus more than 15 homework-helper sections — is a terrific way to kick-start their kids’ brains as the new school year approaches.